From 1st January to 10th March. 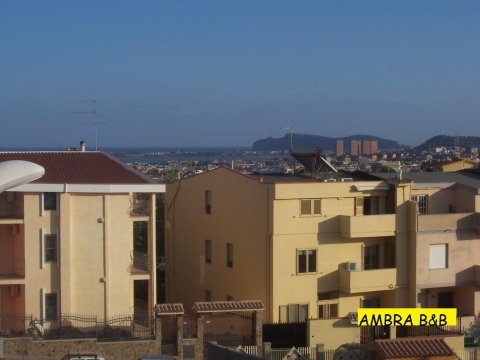 Bed & Breakfast Ambra Beb is in a residential zone in Cagliari, far from the city confusion, road traffic and smog. The B&B is situated on a small knoll that dominates Pirri and from which a charming panorama can be admired. From here you can see the main Cagliari's necks, the Devil's Star, the Poetto and Villasimius coast. The Bed and Breakfast Ambra Beb has spacious and luminous bedrooms, furnished comfortable, equipped of private bathroom, heating and air conditioning, and with a view of Gulf of the Angels wonderful coast. The entrance is independent. The breakfast very cured and with lots of chosen: coffee, the, milk, juices, local sweeties, bread, butter, marmalade, crispy bread slices.